These instructions will help you save the full text of an article to EndNote Web, ensuring that you will always have easy access to it. 1. Save the full text of the article to your hard drive. 2. On the reference page in EndNote Web, click on "Attach file." 3. 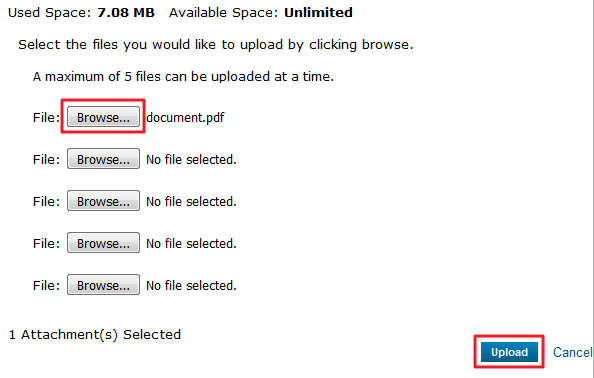 In the dialog box that appears, click on Browse and navigate to the file on your computer. Then click Upload. EndNote Web will process the file and let you know when it has been successfully attached.